Preliminary Review for Quebec Skilled Worker Program Application - Gateway to Canada | Canada Immigration Consultancy! Changes to Quebec Skilled Worker Selection Grid was announced by by Quebec's Ministry of Immigration, Diversity and Inclusion (MIDI). Simply put, those files wherein Preliminary Review had not started yet will be affected by the changes. But how would you know if preliminary review for your file already started? 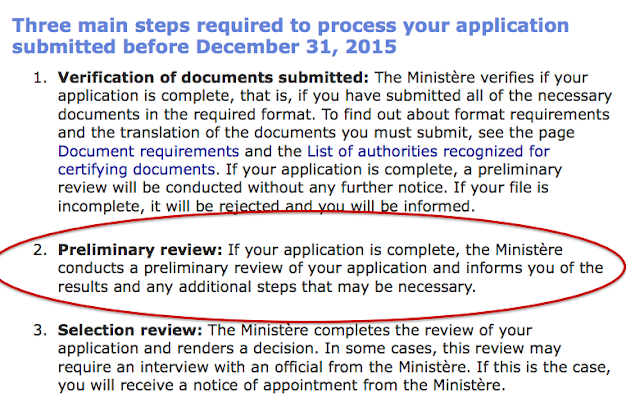 To answer this, you need to understand the 3 main steps to process application submitted before December 31, 2015. During the 2nd stage (Preliminary Review), if your application is complete, The Ministere conducts preliminary review if your application and informs you of the results and any additional steps that may be necessary. Now, if you received the MIDI Notice ("Intention to Reject"), does that mean that Preliminary Review of your application already started? Will the changes in the selection grid be applicable to your application to you? There are some who say that the changes will affect all those who do not have the CSQ. We do not share that view. 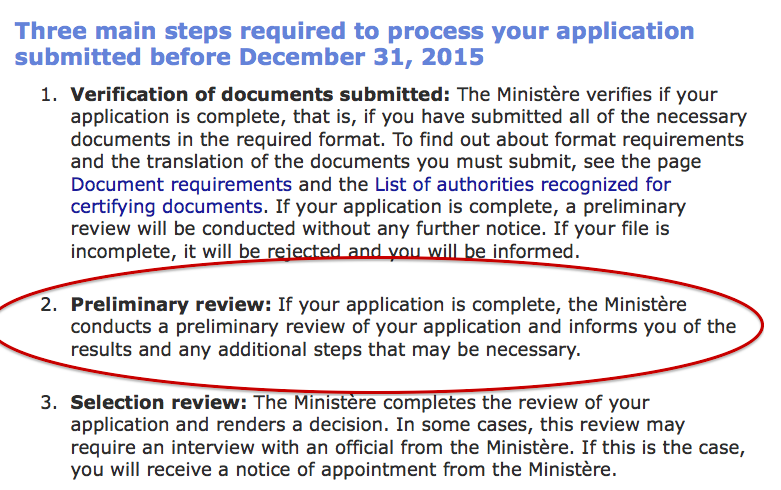 Our position is that if you received the Intention to Reject notice, that means preliminary review already started. But of course, MIDI has the final say. We will just have to wait for their official decision.